Home > Entranceexam > Indian Coast Guard Application Form 02/2018 Batch - Application Ends Today! 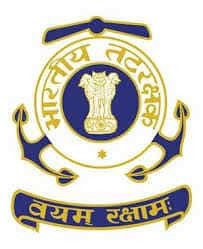 Indian Coast Guard Application Form 2018 is available only in the ONLINE mode for the candidates willing to appear for the post of Navik General Duty. The complete details of how to fill Indian Coast Guard Recruitment 02/2018 for Navik General Duty are mentioned below. There is no application fee that has to be paid while filling up the Indian Coast Guard Application form. Submission of the Application form starts from 24 December 2017. For filling in the ONLINE Application form, the candidates must log in to www.joinindiancoastguard.gov.in and click on the opportunities button to move further. Filing multiple applications will result in cancellation of all the applications submitted by the candidate. Follow the link given below to apply online, the last date to apply for the Indian Coast Guard Navik (General Duty) 10+2 Entry is 2 January 2018. Email ID and mobile No. : The candidate should have their personal Email Id and Mobile No. which is mandatory for filling the Application Form. Name: The candidate should be very careful while writing his name as well as the name of his father and mother, exactly a mentioned in the 10th Certificate. 12th percentage: The candidates must enter the exact percentage of 12th class up to two decimal and this is not to be rounded off. Exam centre: Candidates are allowed to select only one exam centre as mentioned in the list. Recheck the entered details: The candidates must recheck while filling the Application Form, which is necessary before submitting. Submission: The candidates can click the Submit button once all his criteria of filling the Application form has been fulfilled. This is the final stage of submitting the Application Form. The candidate need not send any hard copy of the application form. Reprint of Indian Coast Guard Application Form: After the successful submission of the Application Form, candidates will be provided with a unique Application /Registration Number. Candidates must note down this number for future reference and for printing application from or the admit card. Candidates can download their Admit cards through https://joinindiancoastguard.gov.in/reprint.aspx from 1st week of October 2017. It is to be noted that admit cards will only be available after the shortlisting of the candidates based on the higher percentage of marks for a particular Examination centre. Candidates must bring 3 copies of Indian Coast Guard Online Application Form along with allotted registration number and recent colour passport size photograph with blue background (not older than one month) pasted and signed at the bottom of the Application Form against space provided for signature. All original documents along with one Application form ready. Photocopies and attested copy of class 10th and 12th pass certificate and mark sheet showing subjects, caste certificate(if required) and domicile certificate of their respective state. It is to be noted that candidates who do not bring the above-mentioned documents on the day of exam shall not be allowed to appear in the written examination. In case of any query regarding Indian Coast Guard Application Form, the students can write in the comments section below.